An essential modification for Farming Simulator. Courseplay allows you to configure the technique for collecting and planting crops. 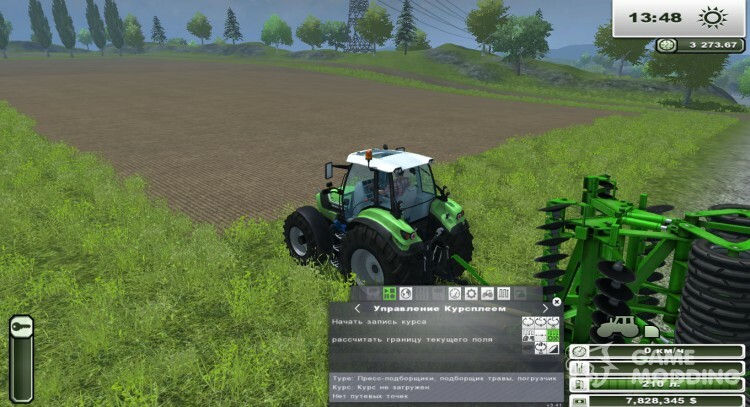 Set travel route tractors on automatic mode, where it used to be impossible. With the help of fashion Courseplay technique, you can choose to record the route, let's say the sale of the wheat. You will need to go to the shop and once back on the tractor will ride on the machine. 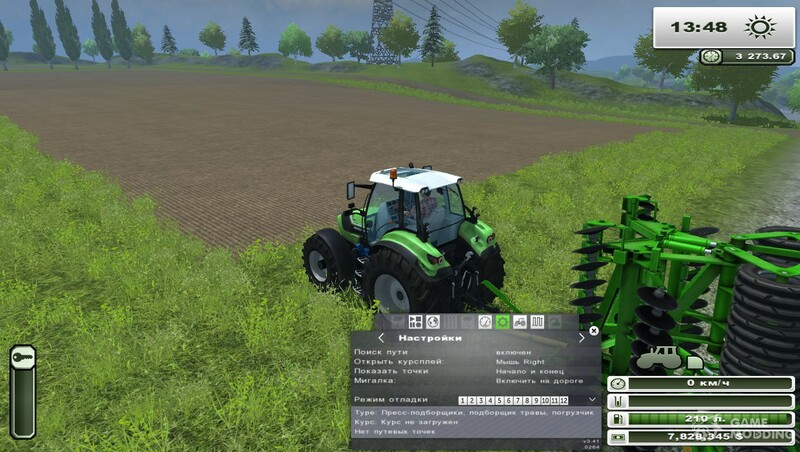 This modification allows you to completely automate work on your farm, you can set many options for your equipment such as: harvesting the crop, fertilizer, transportation and much more. Menu mod opens in, right-click the game.